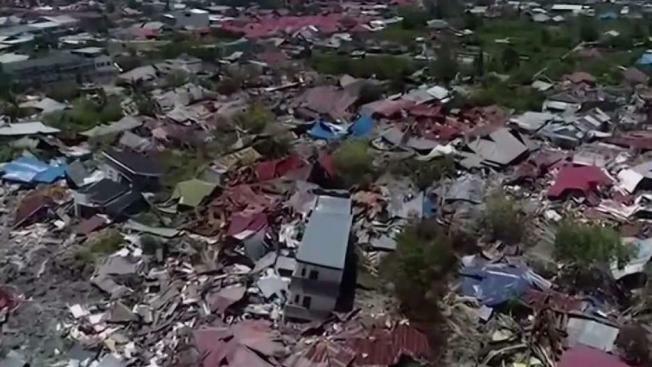 The death toll has grown to more than 1,200 following the catastrophic 7.5 magnitude earthquake and tsunami that hit Indonesia's central island of Sulawesi on Sept. 28. About 62,000 people have been displaced with fuel and food running out in the aftermath of the natural disasters, which come less than two months since another earthquake struck Lombok Island. Red Cross Society: Indonesia's Red Cross currently has over 175 volunteers and staff working in the region, conducting search and rescue efforts, offering medical support, and dispersing goods. They will continue doing so for months. Jan Gefland, head of the International Federation of Red Cross and Red Crescent Societies, said the Red Cross' "biggest challenge at the moment is getting access to all communities, and then bringing large quantities of vital relief supplies into the disaster zone." You can donate by mailing a check to your local Red Cross chapter, by writing "Indonesia" in the memo field. Also, here's the IFRC's Sulawesi Tsunami specific donation page. CARE: The humanitarian non governmental relief agency, which partners with USAID, is collecting donations to provide clean drinking water, emergency family shelter, and resources including hygiene kits. UNICEF: The United Nations Children's Fund has taken their humanitarian efforts to Indonesia. They are now collecting donations on their website for issues specific to children, including reuniting children with their families and providing clean water. International Medical Corps: On Friday, the relief agency announced its emergency response team was being dispatched to Indonesia, providing victims with care and supplies. The ask for donations here. Project HOPE: On the ground in Palu, the humanitarian organization is collecting general donations. Donations specific to Indonesia's recovery can be made here. The American Jewish Joint Distribution Committee: The relief organization is assessing the region's specific needs. A donation, the organization writes, would contribute towards the organization providing emergency medical care, supplies and psychological support. Food for the Hungry: The international relief and development organization, founded in 1971, has a page for direct donations, for "faithfully answering God's call to respond to suffering." The organization is a charter member of the Evangelical Council for Financial Accountability. The Indonesian neighborhoods of Petobo, top, and Balaroa, bottom, in Palu as shown before and after an earthquake and tsunami devastated the area.